You’re looking at one of the first Austin-Healeys built. It was the sixth Austin-Healey built and it was one of several pre-production cars that were to be used “testing” on famous race tracks all over Europe. They are referred to as Special Test Cars and, while they look nearly identical to production cars, they were lighter (thanks to a lot of aluminium) and faster on the track. Only four Special Test Cars were built. The first three were eventually road-registered. This car has always remained in race/testing guise. After Le Mans, the car had its appearance changed to that of a road car and was used in testing for the media (although they didn’t know they were testing a lightweight racing special all gussied up to look like a road car). Later, it was used to test new braking systems for future Healey models and it was also used as a personal car by the Healey family. The first private owner acquired the car in 1962. It passed through many owners before it was restored in the mid-1990s in Australia. That restoration was “refreshed” in 2009 and was painted to look like it did at Le Mans in 1953 – and it’s a wonderful color. This is the only Special Test Car that looks anything like it did in 1953 – it has almost all of its original bodywork and parts. It has never been molested, wrecked or altered. It is super rare and very important in the world of Healeys and it should command it in price with an estimate between $780,000-$1,100,000. Click here for more info and here for the rest of Bonhams’ Goodwood sale lineup. 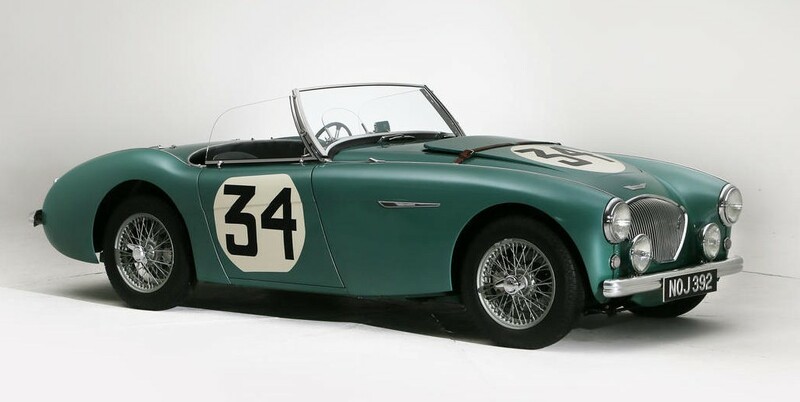 This entry was posted in Uncategorized and tagged 100, auctions, austin-healey, Bonhams, cars, classic cars, le mans, racecars, special test car by classiccarweekly. Bookmark the permalink.